How many funds do you need in your portfolio? A fairly radical view is that you need just two: a share fund and a bond fund. What's wonderful about that is that it's so simple. Asset allocation simply becomes a matter of how much money you put into fund A and into fund B but if you do it in sterling there are some considerations that you have to take into account and a lot of the proponents of the two fund model are US dollar based investors. So let's see how we could do that in a bit more detail. How Could One Fund Work? 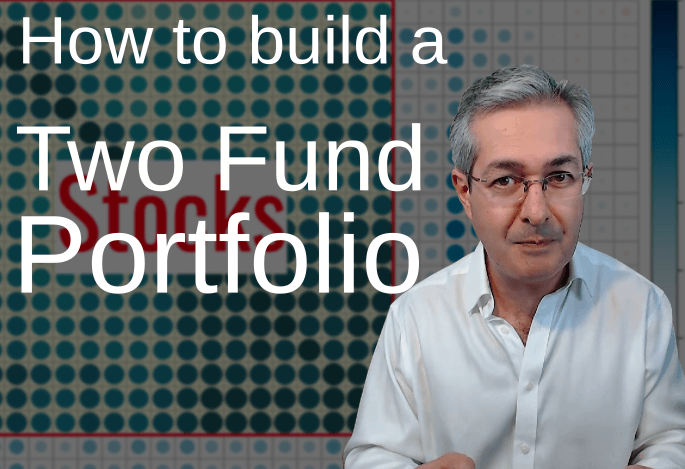 The question is: can we build a portfolio using just two funds? Warren Buffett certainly seems to think so. In his will he says he'd put 10% of the money into short-term government bonds and 90% into an S&P 500 index fund and he likes Vanguard because its fees are very low so here's the best active fund manager in the world putting his money into two funds and passive funds at that. He thinks the performance of those funds will be better than that from active fund managers particularly the ones which charge high fees so let's see why having just one fund that tracks equity might make sense. Here's a selection of Vanguard equity funds. Notice how they all seem to jiggle up and down together. They're not exactly the same but they are certainly very correlated and if they behave the same then perhaps it makes sense just to own one of them. If we look at the returns of a selection of Vanguard funds and here I've included both share funds and bond funds. The size of the blue dot tells you how closely correlated two of these funds is so if we look down this column which is VMID which is the FTSE 250 tracker for UK stocks you can see that it's highly correlated with almost all of the other equity funds. If we look at VUSA which is the U.S. S&P 500 tracker again it's highly correlated with the other equity funds but the correlation with the bond funds is very low or even negative in some cases (those are the red dots). 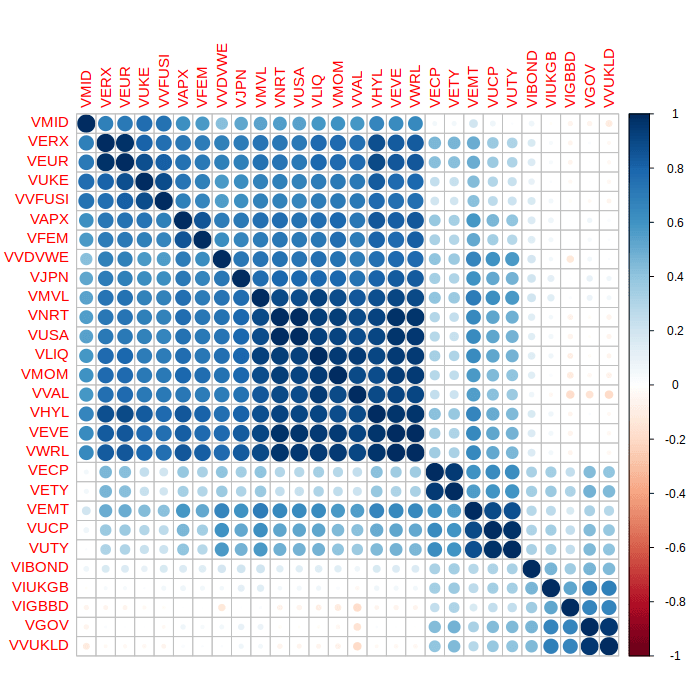 All of the share funds form one big block of highly correlated asset returns in other words their price behavior makes them very similar bond funds aren't as correlated with one another as stocks are but importantly their correlation with equity which is this block here is very low so if you have both stocks and bonds then you're going to have a diversified portfolio. The question is how many stocks do you need and how many bonds do you need to be diversified? In the video where I showed how I invested my own portfolio I showed this tree and what this illustrates is how assets behave if they're highly correlated with one another like the S&P 500 and the VNRT which is the FTSE North America fund which includes Canada though they sit close together in the tree. My approach was to cut the tree and then choose the fund which I thought would give the best returns from every branch and I named the characteristics of each branch according to characters in Scooby-Doo. All of the action and excitement comes from the ex-UK shares branch that's global shares which don't include the UK. 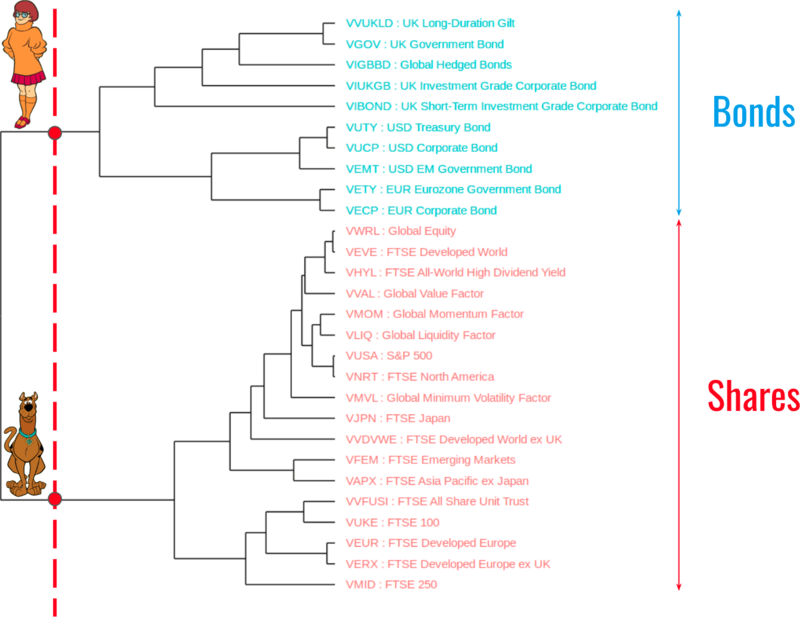 For my portfolio in this branch I chose the VVAL fund that's the global value factor fund. 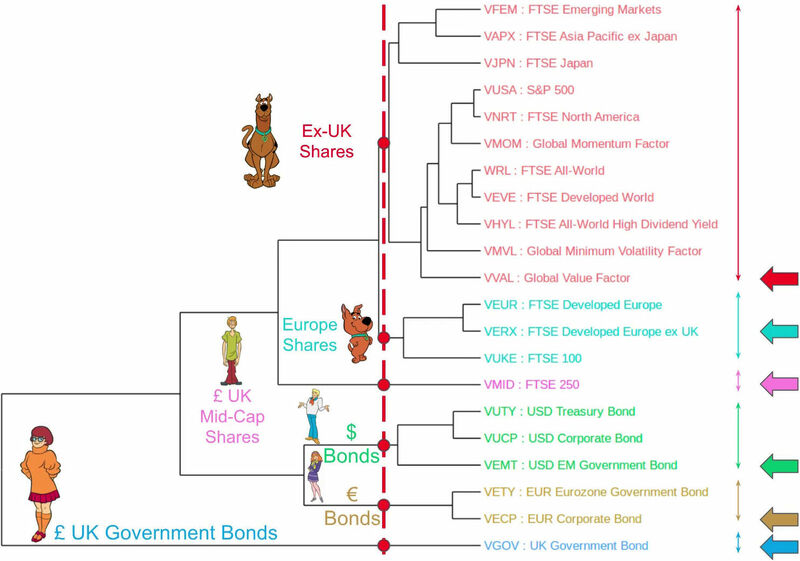 I'm afraid I chose Scrappy-Doo to characterize European shares and in that branch I chose the FTSE Developed Europe excluding the UK fund. In total I had six funds but why make it so complicated? Do I really need all six funds? Here's another tree which includes more assets and that means I've had to restrict the time period but what this shows up quite nicely is that I could slice it neatly into two branches with Velma's bonds up at the top and that would provide safety and income for my portfolio and Scooby-Doo would be the other half of the tree and that would provide the excitement and the unlimited upside for my portfolio. 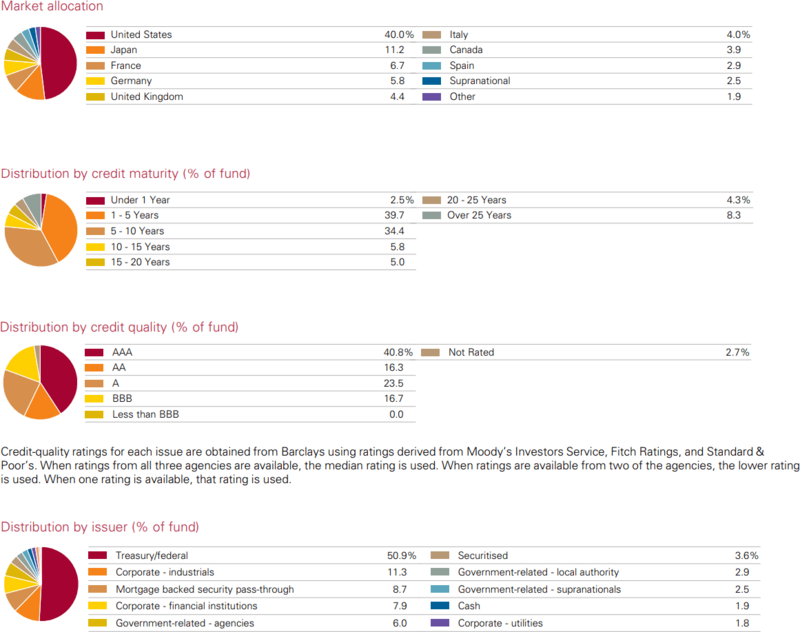 Now the challenge for UK investors is to choose one of those funds from each of the branches. I need one stock fund and one bond fund. Ideally I'd choose funds which are already diversified and that would mean choosing a global stock fund and a global bond fund because now that's really easy with exchange-traded funds and it's also very cheap. So the share and bond funds I choose will be global and I'll choose funds which are very low cost because although you can't control markets you can control the fees you pay. Unlike Warren Buffett I have to think in terms of sterling because I'm a UK investor, and as we'll see that affects your choices. So now let's choose our stock fund there are several global equity funds that you could choose from but here I've shown three of the cheapest and, remember, this isn't a recommendation. 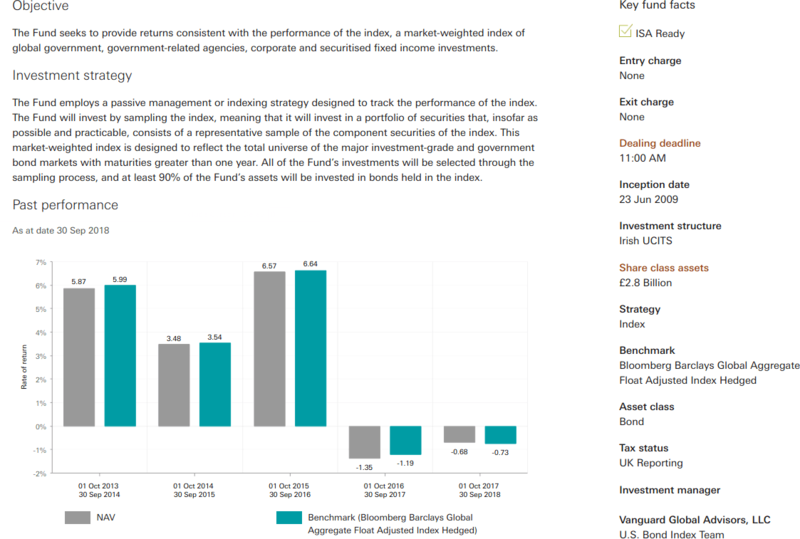 Vanguard's VWRL fund tracks the FTSE All-World index it's not hedged which means it's denominated in US dollars and the fee you'll pay for that is 0.25% so for every £100 investment you'd pay just 25 pence per year. 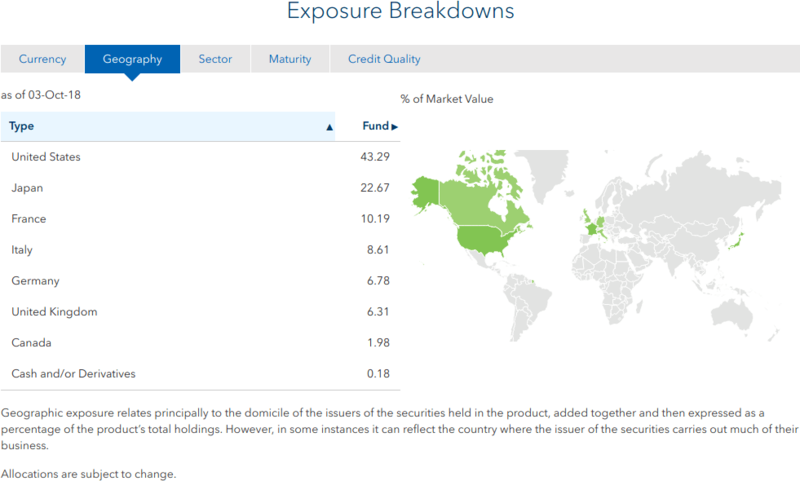 The company Blackrock which manages the huge selection of iShares funds has a whole family of global equity trackers and these track the MSCI World Index. IWDG is sterling hedged which means that you have a hugely reduced risk of currency movements of sterling versus the US dollar and the fee for that fund is 0.3% per year, a little bit more than VWRL. Another version of that iShares tracker (SWDA) is not hedged and that's a little bit cheaper that's 0.2% per year but it still tracks the MSCI World Index and for that fund you'll also be taking the sterling versus US dollar currency risk. Whenever you're thinking of buying some of these funds you should always look at the detail. In other words look at the fund fact sheet and look at the contents of the fund to see exactly what it is you're buying. 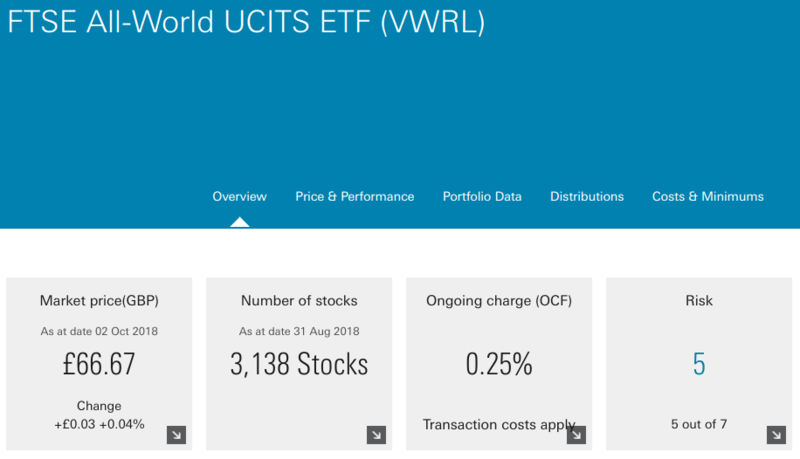 We can see that VWRL contains over 3,000 stocks which isn't all of the stocks in the World but it's a fair proportion of them and we're particularly interested in the fee or the ongoing charge figure which is 0.25% per year. At the bottom the bar plot shows you how closely the fund tracks its benchmark so in this year the benchmark rose by 11.4% and the fund grew by 11.4% as well because that's the goal of a tracker: it simply has to match its index. The SWDA fund which is offered by Blackrock under the iShares brand is an accumulating fund which you can see in the pulldown menu. You can also see that it's denominated in US dollars which means you'll be taking that sterling versus US dollar currency risk. If we look at the key facts for the fund you'll see the fee is 0.2% per year and it's also eligible to go in an ISA or a SIPP which are both tax efficient ways of investing. If you don't want to take the currency risk then IWDG provides a sterling-hedged version of the fund. In other words it's got exactly the same assets inside the fund but Blackrock uses currency derivatives to get rid of that risk. If you look at the ongoing charges figure for the fund it's higher than it was for the non hedged version of the fund. This version of the fund is also eligible for your ISA and your SIPP. Now let's consider the bonds again there's a big selection of these funds you could choose from here I've just shown four but I've chosen them because they're some of the cheapest ones out there. 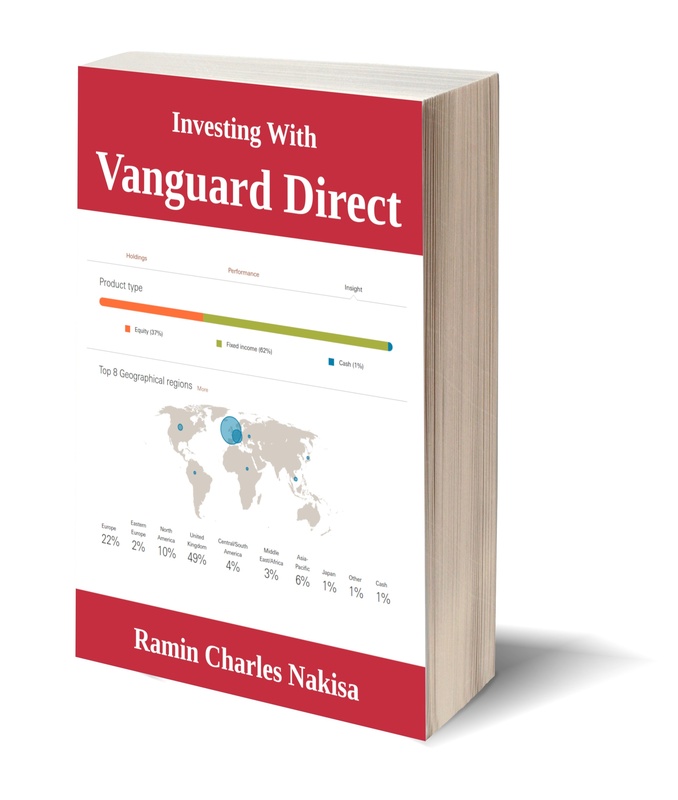 The Vanguard VIGBBD fund is the cheapest and that tracks the unpronounceable Bloomberg Barclays Global Aggregate Bond Index its dollar denominated so you're taking that sterling versus US dollar currency risk but the fee is just 0.15% per year. 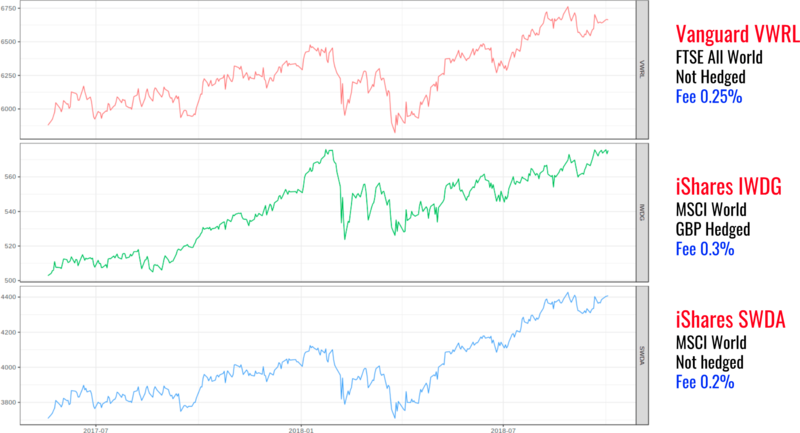 The three iShares funds all track the same index the FTSE G7 Government Bond index but they're all slightly different. IGLH is sterling hedged so as you'd expect the fee is a little bit higher but for this fund you're not taking the GBPUSD currency risk. 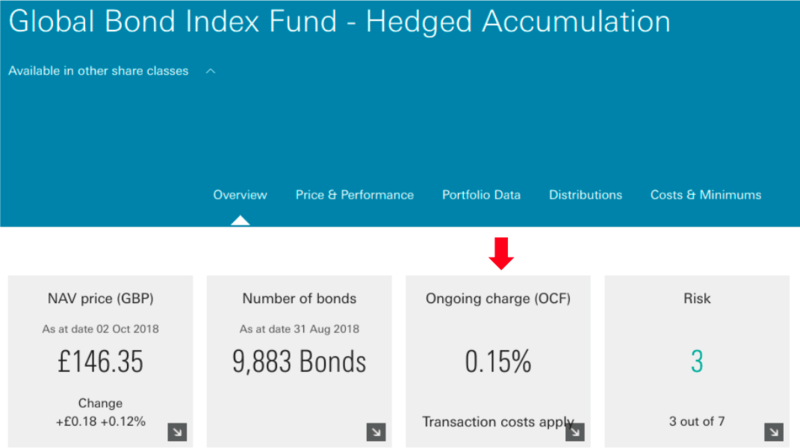 If we look at the VIGBBD fund it contains almost 10,000 bonds and there's that extremely attractive 15 basis points or 0.15% ongoing charge figure. If we look at the objective you can see that it contains a real mishmash of different bond types and although it doesn't buy all of the bonds in the index it buys at least 90% of them and it does a pretty good job of tracking its benchmark. Looking at the contents of the fund at the top you can see that there's a very high market allocation to the United States. US bonds make up 40% of the index because the US bond market is simply so big, just like the US equity market. 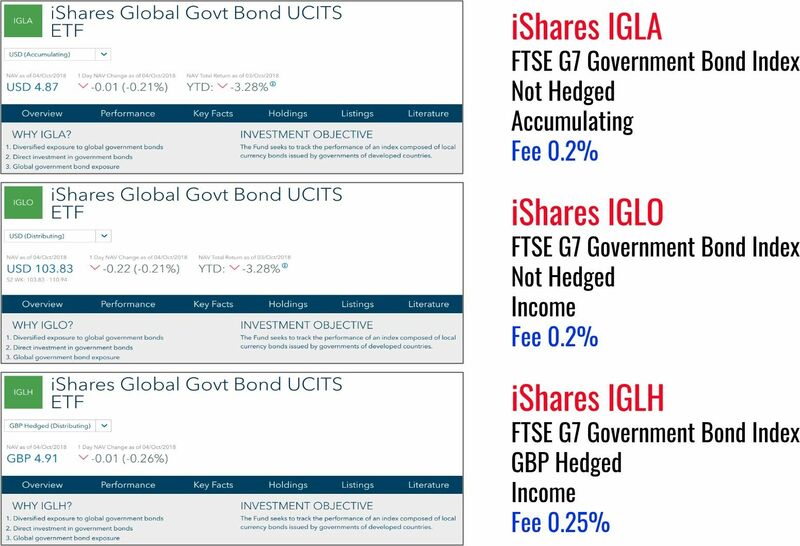 If we compare those three iShares global bond index trackers you'll see that IGLA is accumulating. In other words, any coupon payments on its bonds are reinvested automatically back into the fund and you aren't paid a cash dividend whereas for IGLO and IGLH they're income funds which means that any coupon will be aggregated and passed through to you as a cash payment. The two funds at the top aren't sterling hedged so they're dollar denominated whereas IGLH at the bottom is hedged into sterling. Here's the breakdown of the contents of that fund by currency and again you can see the very strong dominance of US dollars. There's about a quarter each in the euro and Japanese yen. If you look at the geographic breakdown you can see that global isn't really very global at all the geographic exposure is focused on rich countries which have big bond markets. Once we've chosen our two funds we to choose how much to put into the share fund and how much to put into the bond fund and that choice is called asset allocation and it's a very important driver of risk and return for this example. I use VWRL and for the bond component I've chosen VIGBBD again a Vanguard fund, but don't take my word for it do your own research into which fund is best for you. 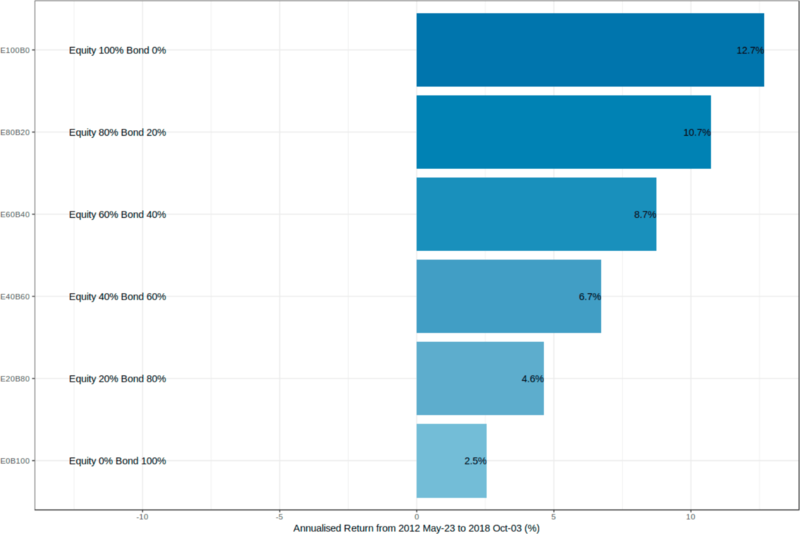 Here I've shown what would have happened to the cumulative returns based on your asset allocation. 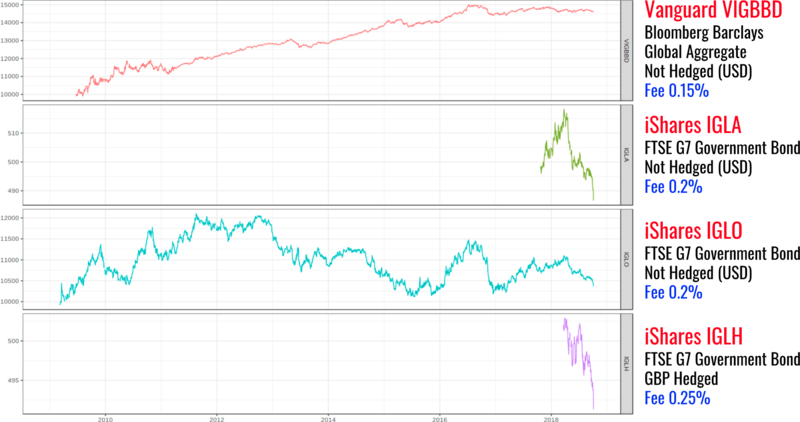 The line at the bottom in purple is the hundred percent bond portfolio and the red line at the top is the hundred percent equity portfolio and this period of time remember was very unusual because it had a blistering equity rally so although it seems like a no-brainer that you'd put a hundred percent of your money into equity that's not such a good idea after all. It makes sense to consider alternative allocations. 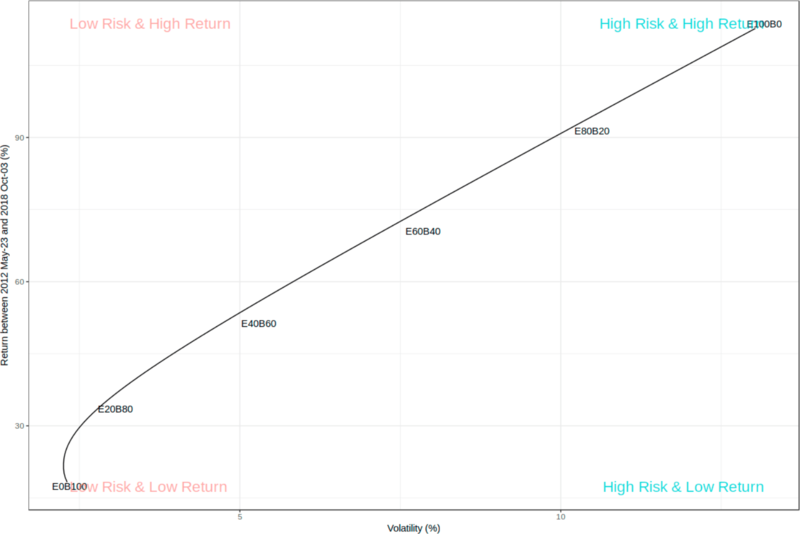 What most people do is to choose an allocation which is somewhere between those two extremes based on their risk capacity, which is your ability to take risk so that if you do lose money you wouldn't affect your lifestyle, and your risk appetite which is how much risk you're comfortable with. To see what can go wrong if you have a hundred percent equity let's focus on the period around 2015 and 2016 when there was a market correction. 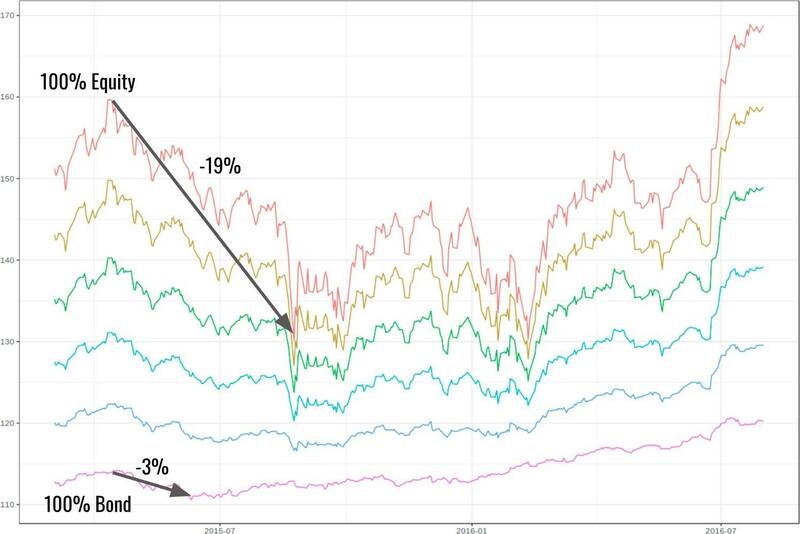 The 100% equity portfolio fell by almost 20 percent whereas the 100% bond portfolio lost only 3% so if you want to protect your money or if you have a very short investment horizon and you can't stomach that kind of loss (say you need the money in one year) then you want to dial up your bond allocation. That reduces the risk of your portfolio but it also reduces the potential upside over the long term. 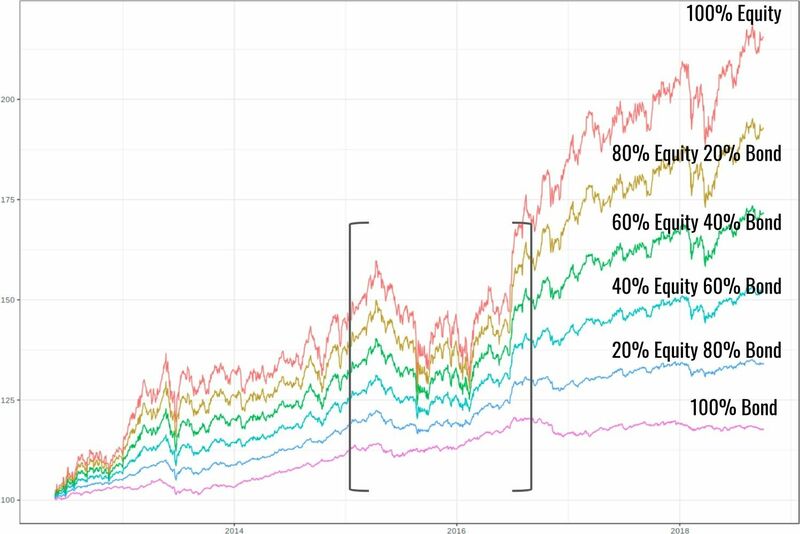 If we look at the annualized returns for each of those portfolios the 100% equity portfolio would have returned about 13% per year and that's unusually high. A more reasonable expectation over many decades would be around 6% per year and the 100% portfolio would have earned just 2.5% per year and again that's uncharacteristically low because rates since the global financial crisis have been extremely low. We can look at risk and return together so that we have risk along the bottom with low risk on the left and high risk on the right and return along the left axis with low returns at the bottom and high returns at the top. 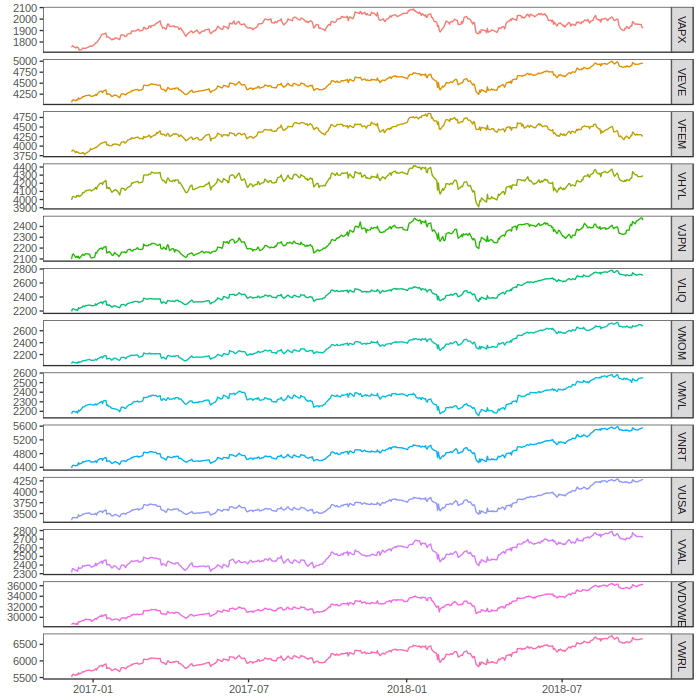 The pure equity portfolio at the top right is extremely high risk but also extremely high return. As we dial down the risk we also dial down the return so that for the 100% bond portfolio at the bottom the returns are the lowest of all, but it also has the lowest risk. So a two fund portfolio isn't as crazy as it seems and it embodies Jack Bogle's principle of the "majesty of simplicity".